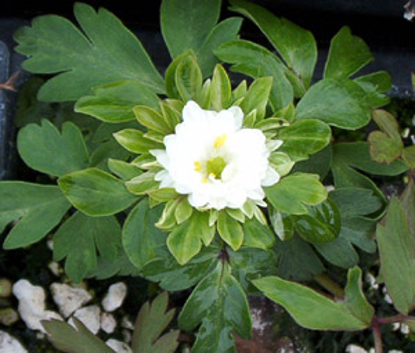 A curiosity; white flowers with a wheel of little leaf-like green petals in the center. 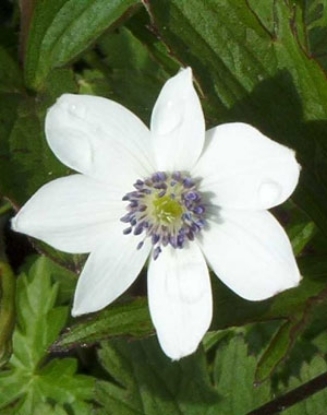 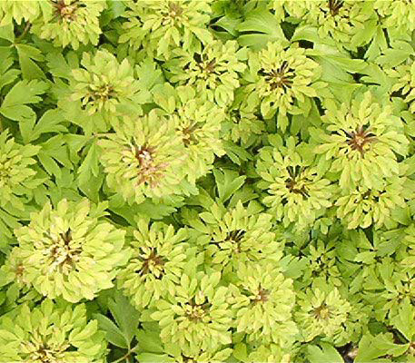 Spreading, easy to grow "filler" for the woodland garden or in front of a shady border. 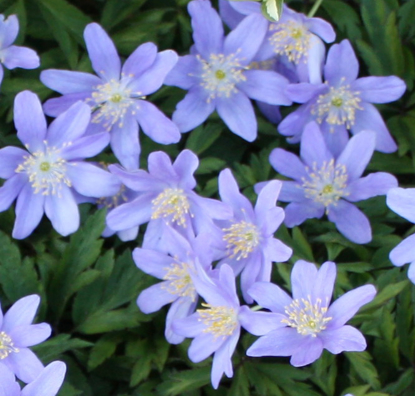 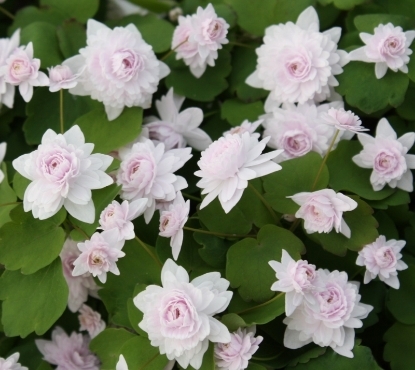 Prefers moist, humusy soil but tolerates drier soil in summer as they are then dormant. 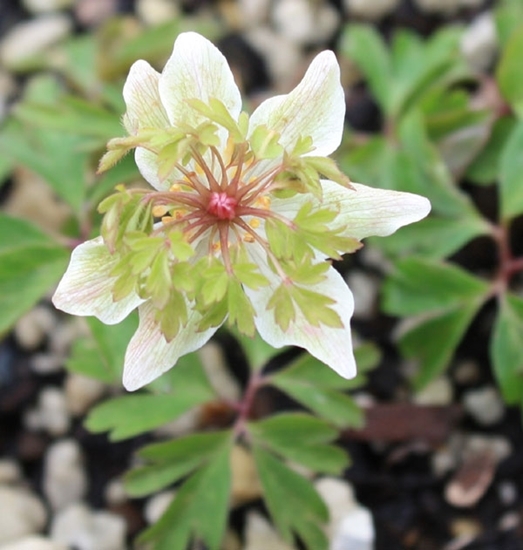 Please note the rhizomes of these Anemone root later in spring and may be shipped not rooted-in.